(Freedom.news) For nearly eight years President Obama has used race as a means of attacking police, blaming every cop shooting of a black man – rare though they are, and most justified – as another opportunity to “prove” racism is inherent in America’s police departments. To most Americans that is, of course, an absurd premise. But it’s a narrative that has been picked up by other racialists and race-baiters in the Black Lives Matter movement and elsewhere to turn legitimate uses of force by police into a political football that many predicted would eventually lead to needless injury and death of cops too concerned about fallout to use force when necessary to protect themselves and the general public. 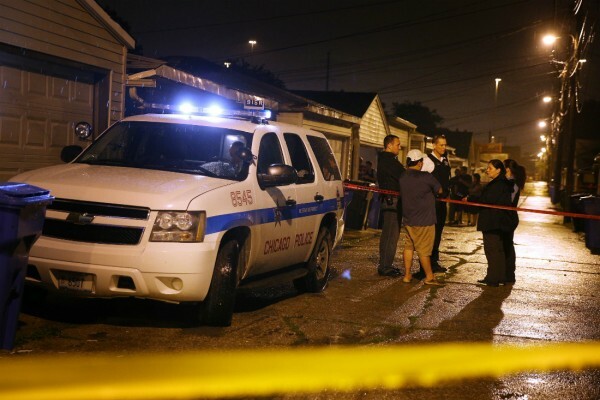 Over the weekend an incident in Obama’s home town of Chicago, parts of which resemble deadly war zones more dangerous than those in the Middle East, involving a violent suspect on PCP and police officers nearly resulted in the death of a female officer who told her superiors after she knocked cold during a scuffle that she was afraid to draw her weapon because she didn’t want to put her family or her department at risk of being targeted once again by the president and his racist, hate-filled, sycophantic followers that he has created. Graphic dashcam and bodycam video has been released showing a suburban man — allegedly high on PCP — punching and body-slamming Chicago police officers as they tried to handcuff him earlier this month. More than three hours of footage of the brutal incident were released Friday by the Chicago Police Department after authorities said a female officer who was beaten unconscious didn’t shoot her attacker because she feared she might face backlash. The top Chicago police officer has used the beating as an example of how fallout from police-involved shooting controversies can put officers in danger. It’s unknown whether Obama and BLM founders and leaders are aware of this incident, but each one of them is partly responsible for the female officer’s injuries suffered when the suspect slammed her into the pavement, knocking her out. Had she died, Obama and Co. would have had blood on their hands, no matter how arrogantly aloof they seek to remain or to what lengths the pathetic establishment media goes to protect them. But the fact is, cops choosing not to do their sworn duty to protect and serve, while putting themselves in danger, out of concern they will be attacked and smeared in public, is Obama/BLM-fueled. Each one of them, from the president on down (to include the Eric Holder/Loretta Lynch “Justice” Department), should be ashamed of their role in establishing this kind of dangerous situation for police and the public they were hired to serve. But then, they’d have to have a conscious first.